Probably everyone wants to begin with gardening at some point in life. It is actually pretty easy activity. Just plant some flowers, put garden furniture there, and lay back. However, if you are one of those who look for much more than a pure sunbathe at weekends; you should make a real butterfly garden. Pick out the right plants and invite butterflies to your garden for ‘lunch’. Then provide adequate conditions for laying eggs, growing, and multiplying. In one world, you need a general plan, goodwill, and much hard work. Is such a garden worth the effort? YESSS!!! These delicate, colorful insects will pollinate your plants and enable many great outdoor moments for you and your family. It is well-known that everyone adores butterflies! Be one of those rare people who have managed to make the butterflies love them. Let’s discover that way together! 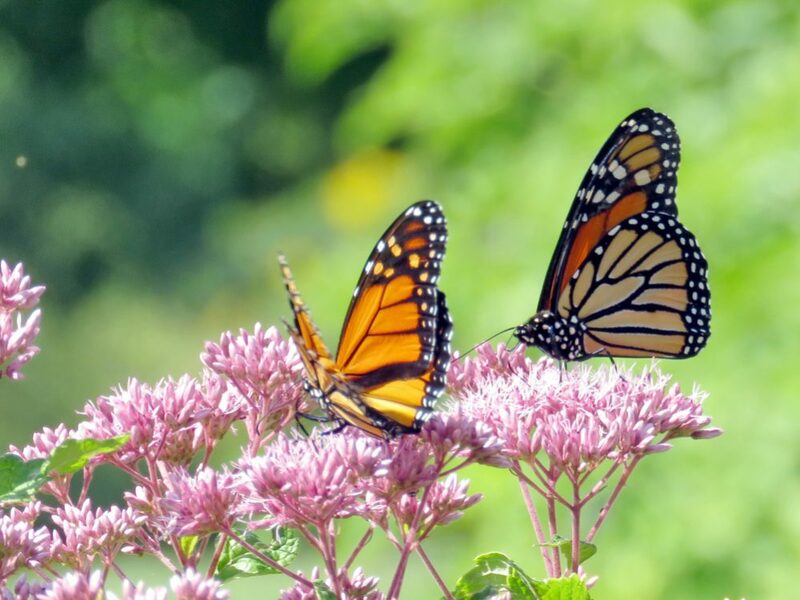 The first thing you should do before starting to think about planting your own butterfly garden is to learn about native butterflies in your area. That will help you determinate which butterflies you can attract and which plants you should select to get desirable nectar. 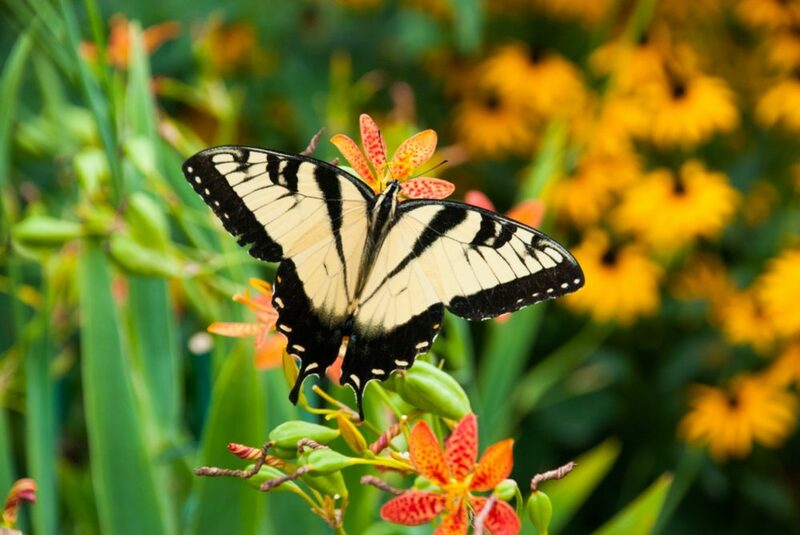 The butterflies are pollinators with immeasurable contributions to regional ecosystems. Since butterflies adapt to their environment, they create a special butterfly-plant relationship and transfer pollen from one native flower to the other. If we systematically destruct habitats of these fragile creatures, they can quickly come to the brink of extinction. You can consult an expert in this field or spend time observing butterflies in your environment. Learn about different plants and how to combine them for the best results. 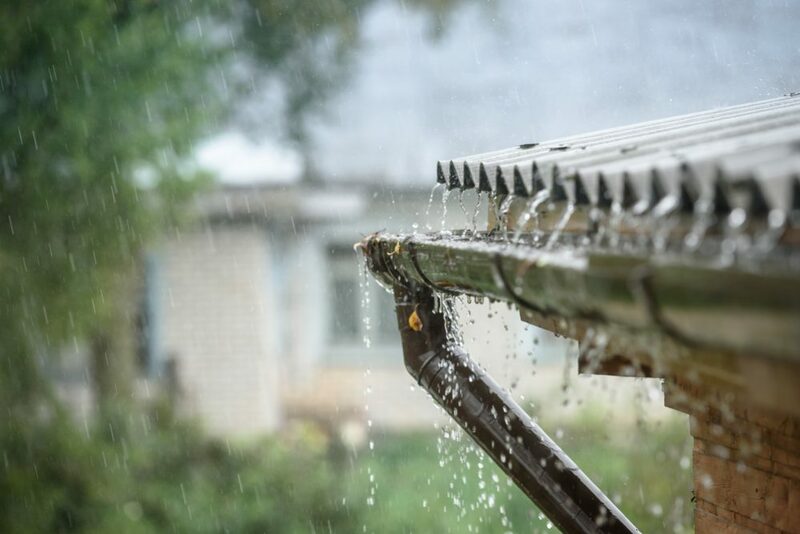 Generally, avoid areas with minimal vegetation, lack of puddles, and places with great use of insecticides. You should know that the butterflies which don’t migrate can live for just a few weeks. Those who live longer migrate during winters. If you want to provide those lovely insects a place to reproduce and have new individuals the next season, give them a perfect place to breed. In that case, they will always come back to your garden and lay eggs there. Picking the right location is probably the hardest part of the preparation. Keep in mind that butterflies are cold-blooded creatures and they need much sunlight to warm their tiny bodies throughout the day, to feed correctly, and lay their eggs. If you have already had a piece of land, your choice is pretty limited. The only thing you can do is to pick out the best corner suitable for planting flowers that will attract as many butterflies as possible. On the other hand, buying land is a complicated process that demands much planning, adequate funds, and – guess what – additional research! There are so many things you need to take care of. As I have already said, butterflies like and need the sun. Therefore, you need a spot with at least five to six hours of sunlight daily. Before even start, you should take a seat and patiently spend days watching the sun’s movement from sunrise to the moment when the first shadows occur above the desired piece of land. Since you certainly don’t want your garden to be in the shade during the bright, sunny day, start to write a journal of events. Write out all the information about periods of the day when every particular area is in the sun. The sunniest part of the garden you choose more colorful butterflies you will attract. Additionally, your future butterfly garden needs to be sheltered. You don’t want to look how strong wind drives away those delicate beings that beautify your environment and the world they live in. Think about a wooded area, fence, or wall as an ideal solution. 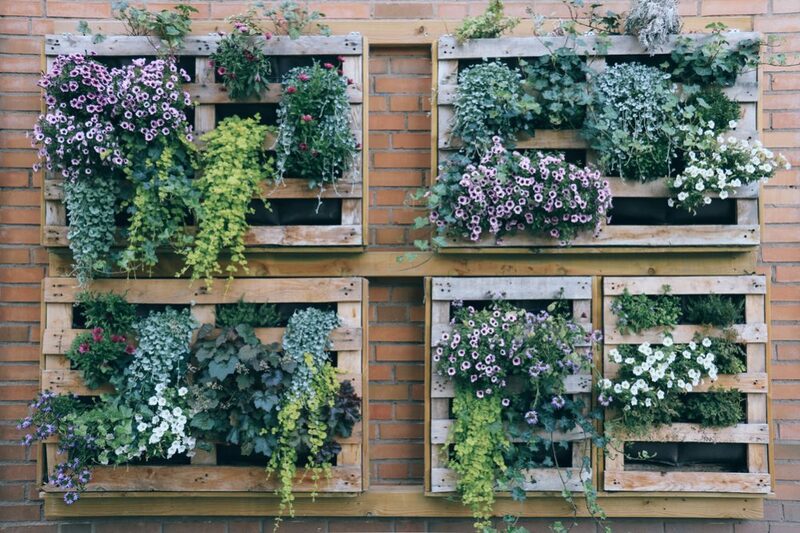 Make a plan to plant flowers and other plants which bloom at the same time in larger groups. For example, group flowers that bloom in spring on the one side of the garden. Those that flourish in the early autumn put on the other side. It is a great way to help butterflies see flowers from a distance and find them more easily. 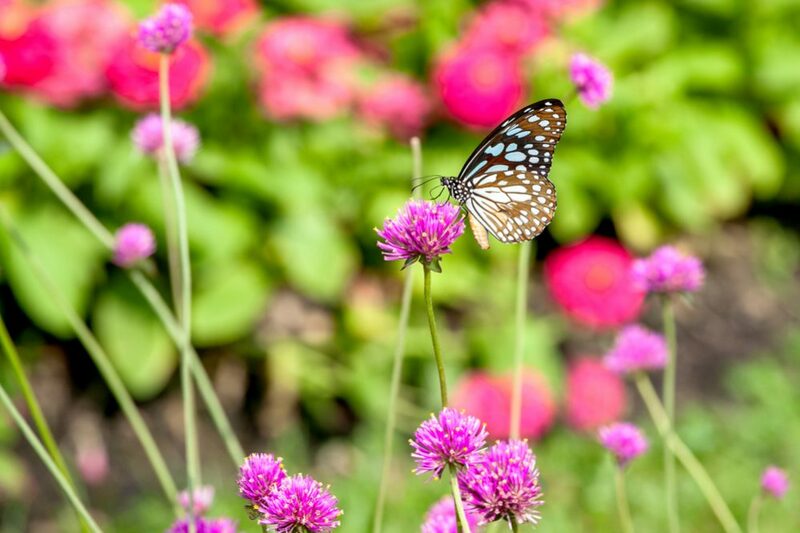 Try to plant fragrant flowers to attract the butterflies to choose your garden. Keep in mind that those insects adore yellow, purple, white, lavender, orange, mauve, and pink flowers, but some of them can’t recognize the red color. Blue-green and greenish-blue flowers probably won’t attract most of the butterflies. Make a plan to place your plants like stair steps with taller greenery (bushes, vines, an arbor, or shrubs) in the back and the shorter flowers in the front. That way, the butterflies will reach the necessary food more comfortable. Plus, when they concentrate on one place, you can enjoy that colorful bunch of these beautiful creatures entirely unhindered. If the garden is small, this division might not be needed. 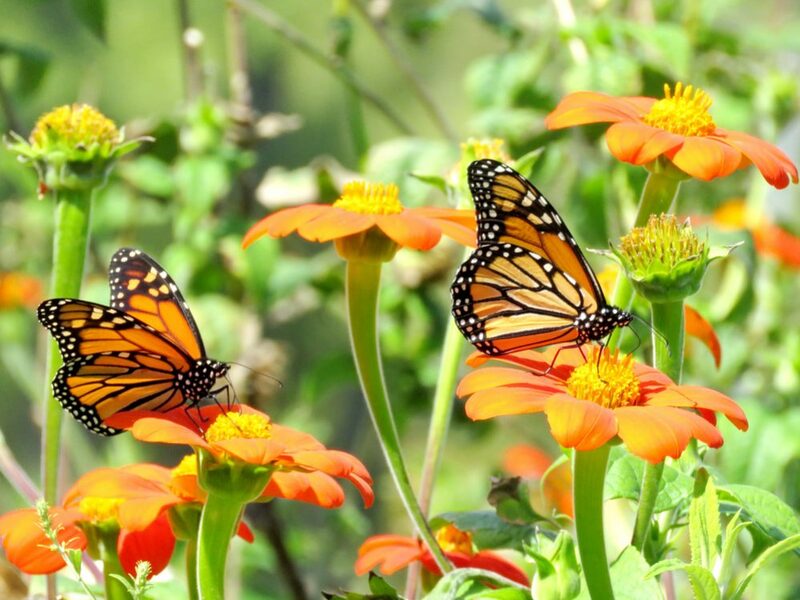 The best option is to pick out enough nectar plants (they offer energy for butterflies) and butterfly host plants (they provide a place where butterflies lay eggs and also feed caterpillars) and become a witness of the complete life cycle of butterflies. To make your choice easier, many planters put the seed mark ‘butterfly friendly’ on the packaging. The problem is that those seeds are good for butterflies (nectar plants), but they won’t create conditions for the development of caterpillars. Adult butterflies are usually don’t picky about flowers as a source of nectar, but they will look for a particular plant where can lay their eggs. Therefore, you should try to focus on native trees and flowers that are the only food source for caterpillars although exotic ones probably attract you more. 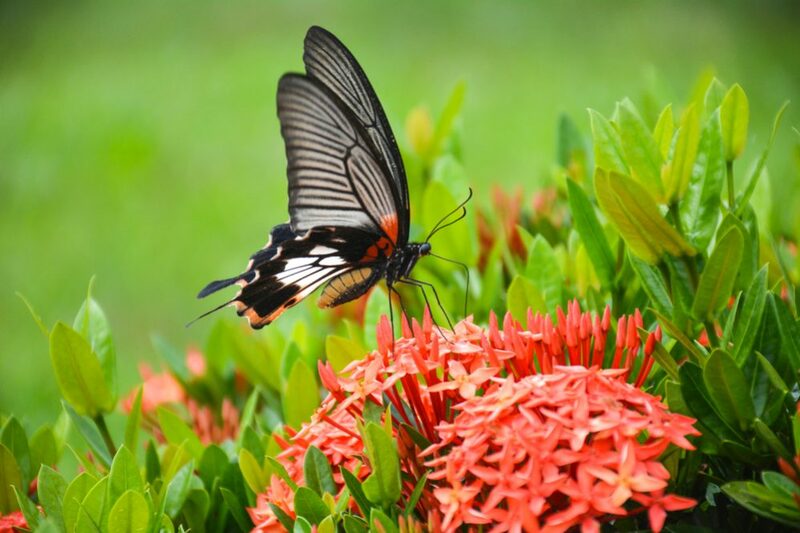 It is also necessary to protect butterflies and their caterpillars from chemical toxins from unknown leaves. Otherwise, the toxins will reduce the number of butterflies, and you will get a butterfly garden without butterflies. * Milkweed is the only remaining host’s plant of the monarch butterfly. For example, monarch butterflies choose milkweed as the only plant to lay their eggs on because it is the only flower which offers food for their caterpillars. Due to the eradication of this plant, monarch’s caterpillars die, and a population of these extraordinary creatures has been decreasing for years. Use a map of butterflies found in each state of the US and some other countries in the world. 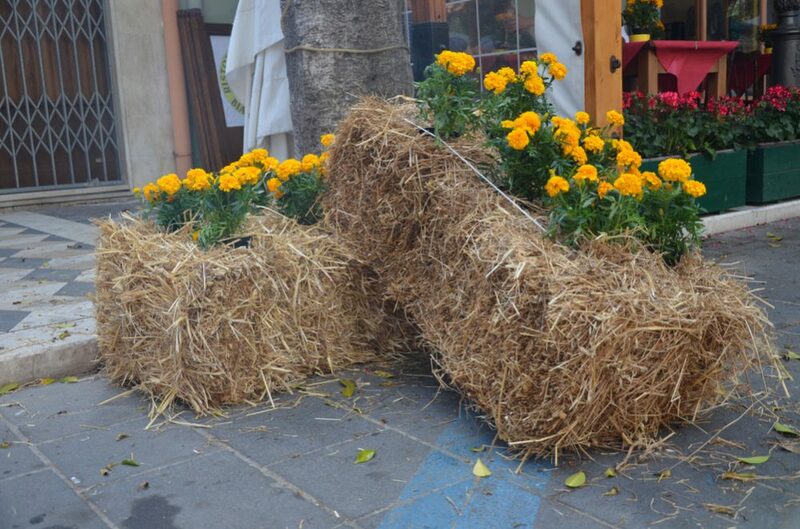 Please take a good look at it before you begin to arrange your garden to get the result you desire. Provide Enough Water – As you can assume, water is crucial. Forms in the soil, puddles of water are full of salt and essential minerals. They represent a food source for the butterflies and allow them to reproduce smoothly. If you have heard of the expression ‘puddling’, you know that it implies gathering of the butterflies around puddles. The primary goal is to supply sodium which females lose after laying eggs. You can solve that issue by placing a buried shallow pan in the garden with sand at the bottom and enough water. Send – You need just a patch of wet sand around the place the butterflies drink. Alternatively, pour a small sandy area with water. Butterflies don’t need deep water but prefer to get the necessary moisture from moist soil. A tray of fruit – Cut out pears, melons, and/or oranges into small pieces and put them on a plate along with the peels somewhere in the garden. These fruits will be an extra treat for your ‘guest bugs’. A butterfly feeder – You can also hang a butterfly feeder with some nectar on a tree. Mix the same amount of water and sugar and put the mixture into the feeder. That way, butterflies can eat even during a period without bloomer flowers. An improvised butterfly box – Hanging the butterfly box in a tree is an ideal solution for gardens without enough shelters for butterflies. However, it is also OK adding one or more in a larger garden if you think that your colorful ‘bugs’ need extra shelter at night or during severe weather. This box looks like a birdhouse, but with slatted openings. A butterfly house – You can also buy a real butterfly house or make one by yourself to protect butterflies from the wind and heavy rain even better. Also, it is a way to give them a solid, warm shelter that will help them safe during cold nights. Rocks – Don’t forget the rocks! Put a few decent-sized, flat stones in the sun and let butterflies have a place where they can sunbathe during cold mornings. Place them that way the sun hits their surface in the early morning and as late as possible in the afternoon. Conservation of the habitat (ecosystem) – This type of garden attracts wildlife and brings birds and insects, including butterflies, near your house. If you well-plan your butterfly garden, it will become a habitat which provides a safe shelter for these lovely insects. With a little luck, they will choose your garden for reproduction and building their populations. Pollination – During feeding on nectar, a butterfly, attracted to fragrant, colored flowers, flies from one plant to the other and pollinates them. 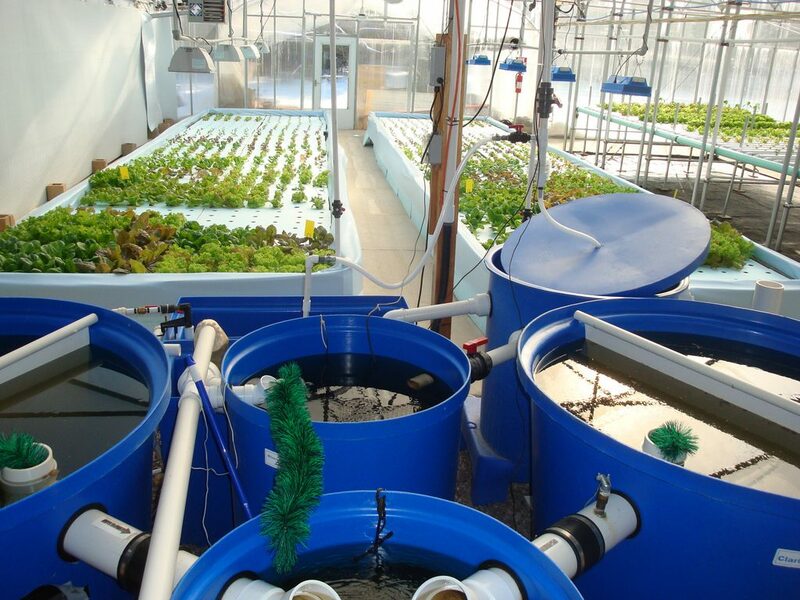 The result is the reproduction of plants and the development of various species. Environmental awareness – While enjoying a playful game of colorful butterflies, your child can learn about their growth, habits, and usefulness. That may result in her better understanding of natural habitats and awareness of the world we share with those magnificent tiny beings. Pest control – A healthy population of butterflies will attract a healthy society of beneficial insects and supply numerous mammals, birds, and lizards with food. In return, they will keep your beloved garden clear of pests. Biological methods are always the best solution to get rid of the pests. 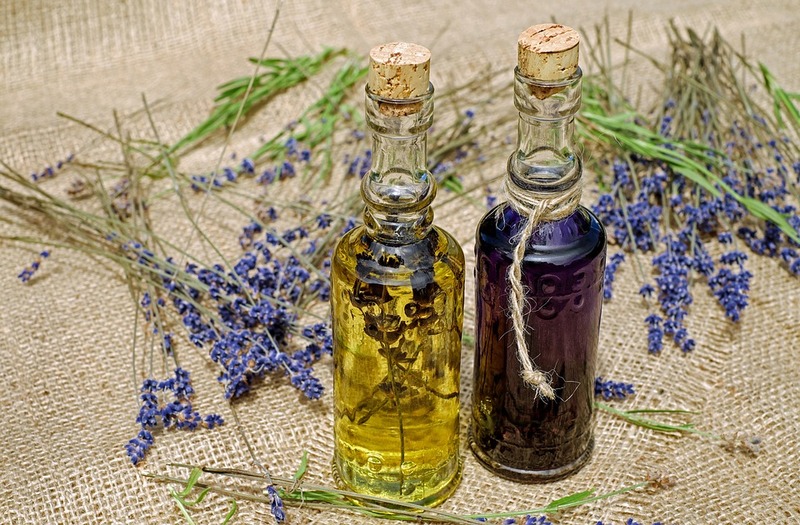 Therapeutic properties – Your lovely garden will provide you with peace of mind and enjoyment. 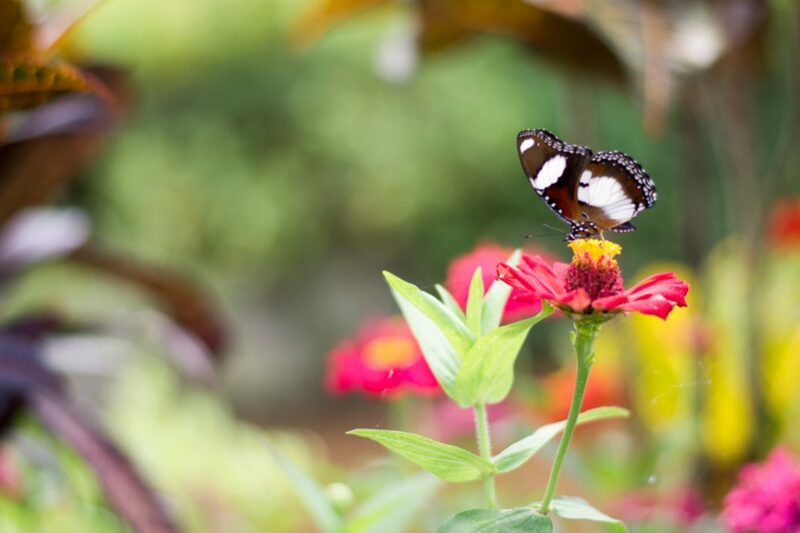 Results of some studies show that a butterfly garden has a ‘therapeutic’ effect and it will eventually become your private place for relaxation far away from the contemporary world and everyday rat race. Observation – You will also get the possibility to observe and study ‘bug’s habits’ and different stages of their lives. Take photos of butterflies which will impress your friends and give you immense satisfaction. 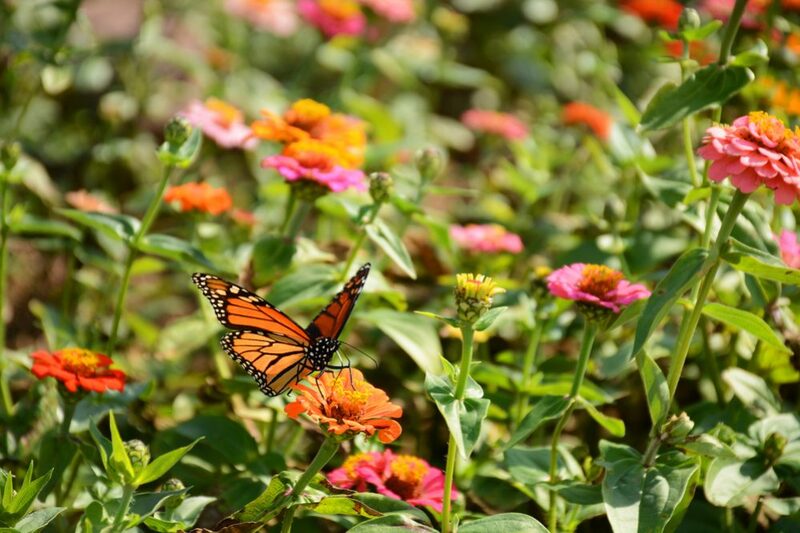 Once you create and keep maintaining your butterfly garden, you will get a bunch of possibilities to make scientific observations about butterflies and the entire ecosystem. Find the time to write down all your observations about butterfly’s species you have spotted during each season. Define the time of a day and particular month when you saw them and how many of them were there at that very moment. Always keep in mind that someone else helped you when you decided to start. Now, you have an opportunity to return goodness the same way and share information with other researchers and people who want to make their own butterfly garden. Plus, you can become one of many who will increase knowledge and understanding about the ecosystem by collecting information about the different butterfly species. Those data about butterfly population numbers will be useful nationwide and may help with conservation species. Once you have made plans, designed the butterfly garden, and started with realization, you can be proud of yourself for many reasons. Except for creating a natural, ecologically desirable habitat for these lovely creatures in your backyard, you help with the conservation of endangered species. With all the usefulness of one of these gardens, you will quickly become aware of all the benefits that it provides. Watch, wait, weed, and water your lovely garden and be patient. Perhaps the butterflies won’t find your garden right away, but there is no doubt that they will eventually come. From that moment, the only thing left is to start enjoying. I wish you all the best in a good, colorful, and delightful company of your new, gentle friends. How to Build Your Own Rain Garden to Filter Runoff? 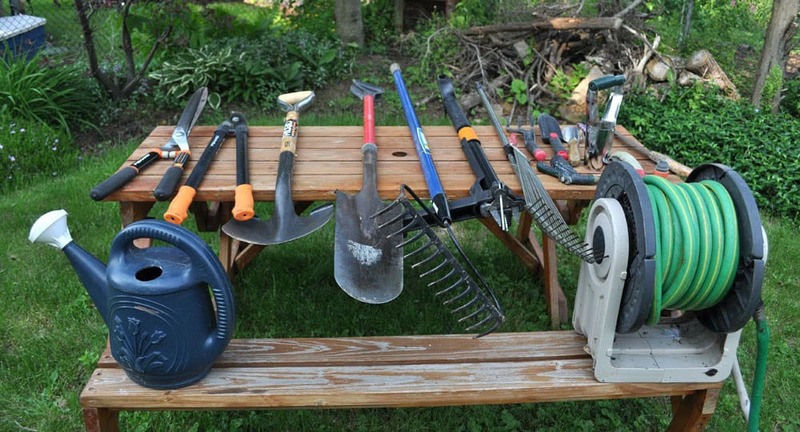 7 Common Garden Tools: How to Sharpen them? 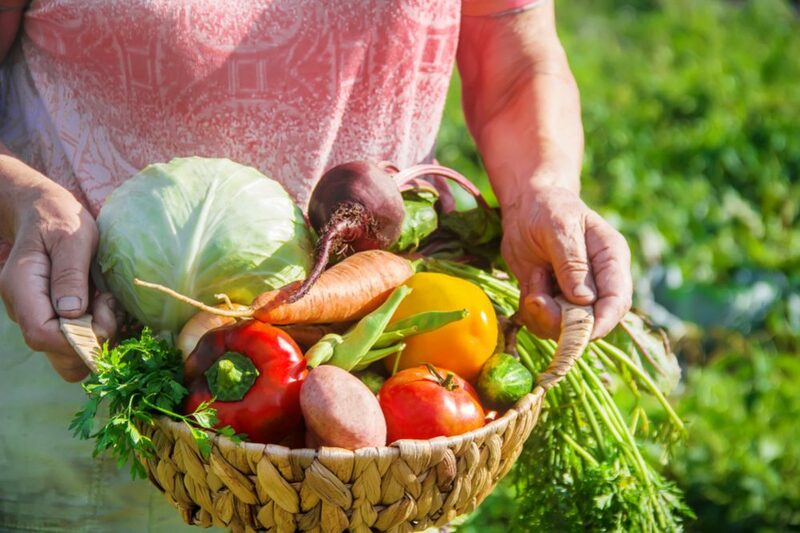 How to Start an Organic Garden?